Our newest online gift package has made it even more enticing to join the best loyalty program in golf. Purchase a new or renew an existing Advantage Card and purchase a $100 Gift Card and get a BONUS $25 Gift Card. That's a separate gift card to do with as you like. Give it to a friend, stuff another stocking, or just keep it for yourself! 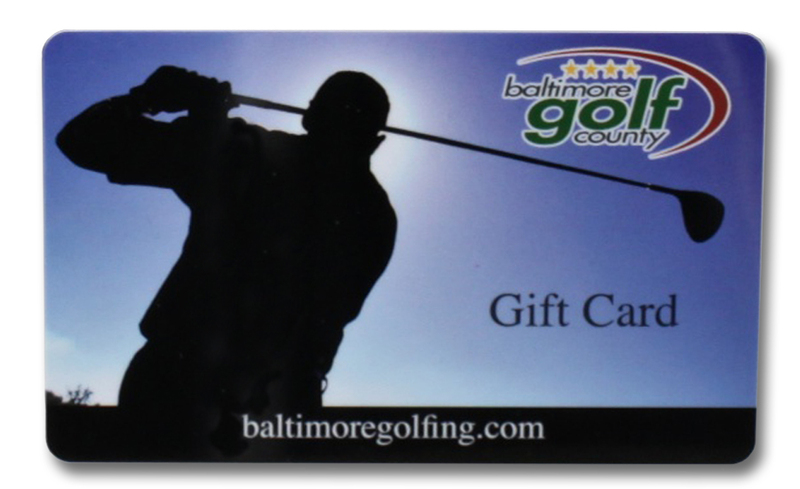 Gift cards do not expire and can be used for golf, food and beverages, merchandise or even lessons at any of the five Baltimore County Golf courses. Advantage Cards are the perfect stocking stuffer that keeps giving with great discounts and player perks all year long. Download or print this coupon and bring it in to your favorite Golf Shop to receive 30% off all regularly priced, in-stock merchandise. 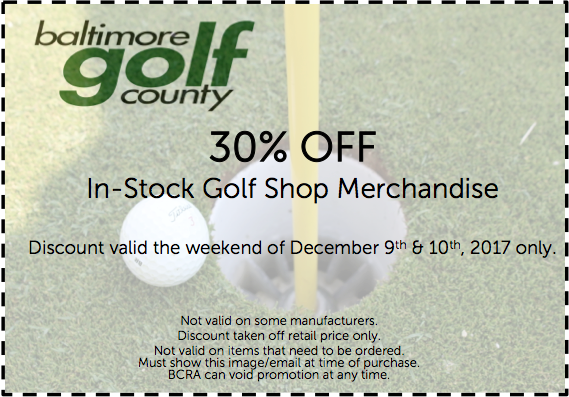 Coupon is only valid on Saturday, December 9th and Sunday, December 10th and only for items available in the golf shop. Other limitations apply. Not valid on some manufacturers. Discount taken off retail price only. Not valid on items that need to be ordered. Must show this image/email at time of purchase. BCRA can void promotion at any time.